The construction of Akkuyu nuclear power plant is likely to be given a go ahead by the end of the year, in line with an agreement between Turkish and Russian officials to speed up bureaucratic procedures and start construction at Akkuyu in the southern province of Mersin. 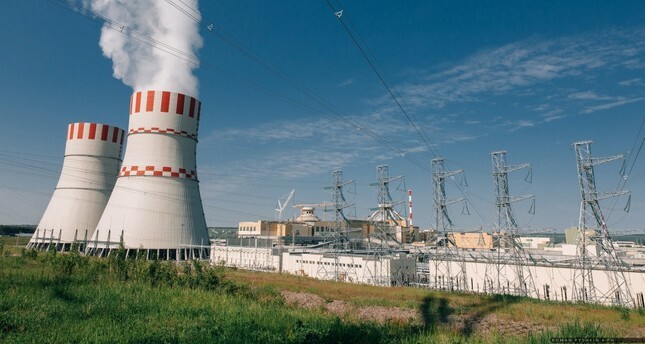 Akkuyu Nükleer A.Ş., 49 percent of which belongs to the Turkish consortium CKK and 51 percent to Rosatom, has begun to lay the groundwork for the first unit, which has a capacity of 200 megawatts (MWs). Last week, Akkuyu Nükleer A.Ş. received a limited construction permit (LCP) from the Turkish Atomic Energy Authority (TAEK), marking the first step in efforts to obtain a construction license. The LCP allows for the launching of construction and installation works at all of the nuclear power plant’s facilities with the exception of buildings and structures important for nuclear safety. “The obtainment of the limited construction permit is a significant step forward for the implementation of the Akkuyu project. We are actually moving from the preparatory stage to the construction stage at the site,” Akkuyu Nükleer A.Ş. CEO Yuriy Galanchuk said. The officers of TAEK’s Nuclear Safety Department will proceed with evaluations and the inspection of work progress at the site before compiling a report which evaluates the construction license application. If the examination is deemed positive, TAEK will issue a construction license to Akkuyu Nükleer A.Ş. which will allow for the construction of all buildings of the nuclear power plant and installation of all systems without any restrictions. The first agreement for the Akkuyu nuclear power plant was signed with Russia in 2010, when it was decided that Rosatom would build the facility. Dependent on imports for nearly all of its energy, Turkey has embarked on an ambitious nuclear program, commissioning Rosatom in 2013 to build the four 1,200-MW reactors in Akkuyu. The plant will produce approximately 35 billion kilowatt-hours (kWh) of electricity annually once completed, and have a service life of 60 years. As Minister Albayrak previously announced, construction of the plant will be fully completed in 2023, marking the centennial of the foundation of the Republic of Turkey. The project has repeatedly run into delays, including being briefly halted after Turkey downed a Russian jet near the Syrian border in November 2015. Ties have since normalized between the two countries and work on the plant has resumed. Turkey’s second nuclear power plant will be built by a French-Japanese consortium in Sinop, near the Black Sea, and talks for a third nuclear power plant continue with Chinese officials. The Sinop nuclear power plant will have a 4,480-MW capacity with four of equal generation. With Turkey’s energy imports amounting to roughly $55 billion annually and its energy demand among the fastest growing in Europe, Ankara aims for at least 5 percent of its electricity generation to come from nuclear energy in less than a decade, cutting dependency on natural gas largely bought from Russia. According to data provided by the Energy and Natural Resources Ministry, by January 2017, 449 nuclear reactors will be operating in 31 countries. A total of 60 nuclear reactors are under construction in 16 countries. These reactors account for 11 percent of the global electricity supply. On a country-by-country basis, France supplies about 76 percent of its electricity demand through nuclear power plants, compared to Ukraine which supplies 56 percent, Belgium 37 percent, Sweden 34 percent, South Korea 30 percent, EU member states with 30 percent and the U.S. with 20 percent.